This is a big head’s up for those of you who live in or around the Kansas City area. 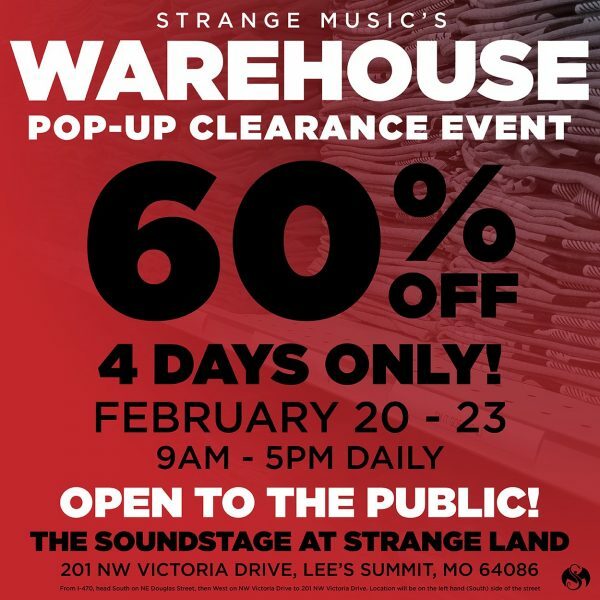 Strange Music has announced a huge Pop-Up Sale over the span of Four Days! During this event, you’ll get all of your Strange Music goodies for 60% Off! Not only that, but this will take place at Strange Music HQ! If you can make it, it sounds like it’ll be worth the trip! Mark your calendars!